Wait, didn’t he just buy an old red Miata? Why the hell would he buy a new red Miata now? That is the question everyone around me has been asking all weekend. Yes, I went and bought this beautiful 2014 Mazda MX5 Miata Club Edition this weekend, and no I’m not crazy, although it may seem that way to many people around me right now. Here’s why I went and bought this car, as best as I can explain it right now. I’ve really been enjoying driving the NA Miata I bought from Al a month or so ago. I’ve been taking it to work and I’ve been driving it around for fun. In plain terms, it just makes my day better when I go places in a Miata. 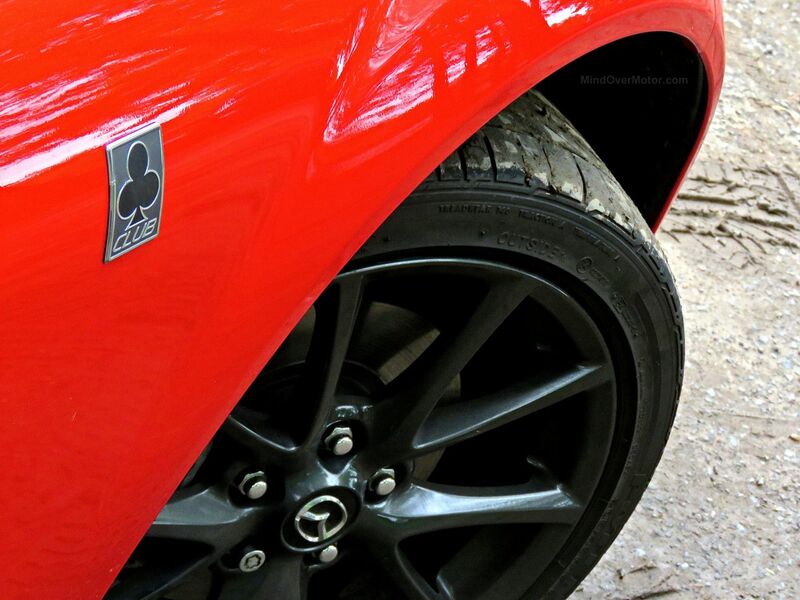 There is just more about life and driving to enjoy when behind the wheel of that particular car. Now, I’ve also been contemplating what my next big car purchase would be, you know, one that involves a bank and payments. There were many options I was excited about, but most were just outside the price range I considered smart at this point. Those two factors converged and I set my sights on getting a brand new ND Miata. I was totally sold, and then I found a major deal-breaker. It turns out ND Miatas have been busting transmissions left and right, and Mazda is only just starting to move their big corporate machine towards a fix. And God help those who had modified or tuned their cars because their warranties would likely be voided, even though it is happening on stock cars too. I’m sure Mazda will do right by everyone, but I wasn’t going to knowingly get my wallet involved in that sort of situation. I wanted to be able to really use the car, and modify it as I saw fit. So my attention turned to the NC Miata. 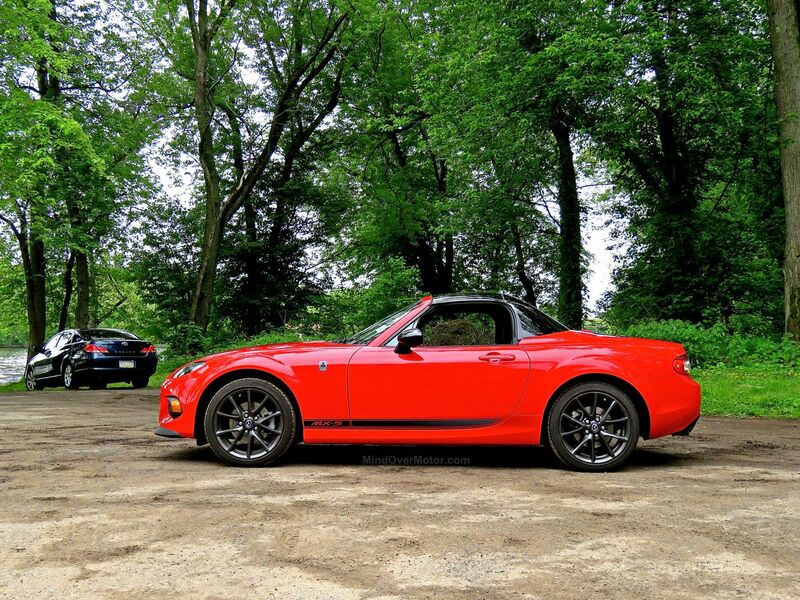 While perusing the local sales listings online, I found the red Miata Club Edition you see here. In addition to all of the sporting stuff I wanted, it also had some key options that my girlfriend, Gab, was really hoping I’d get on my next Miata… heated leather seats, and a hard top. 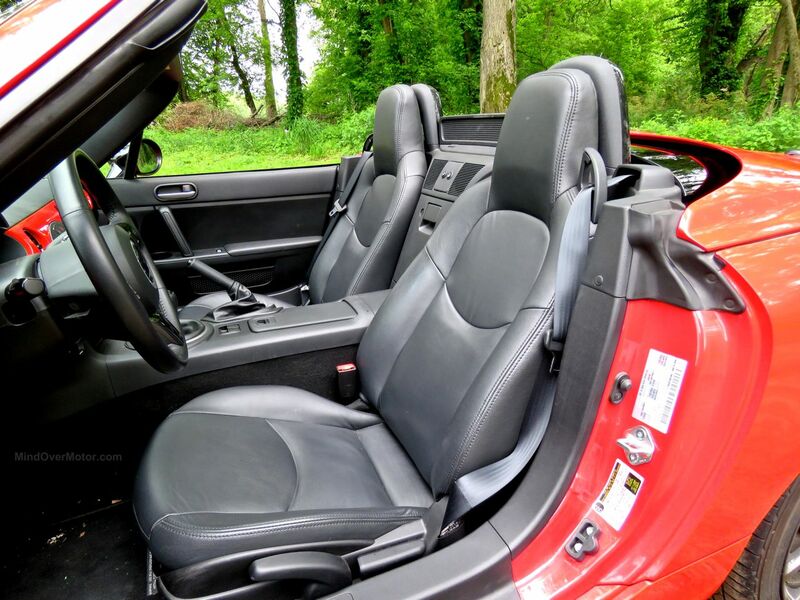 Those who know the NC Miata range will know that the NC Club Edition did not have heated leather seats as an option from the factory, so this red car must have had a special dealer-installed arrangement of some kind. Either way, I realized I probably wouldn’t find another NC Miata this perfect, a Club Edition with those extras, so I decided to pounce on this one. Look, I love the NA Miata with all my heart. It was the car that reinvented the roadster for the modern era. But today, NA Miatas are up there in age. They’re much more maintenance-intensive, not really that safe, and rather (if charmingly) spartain in the interior. They’re great, but they’re showing their age now in many big ways. 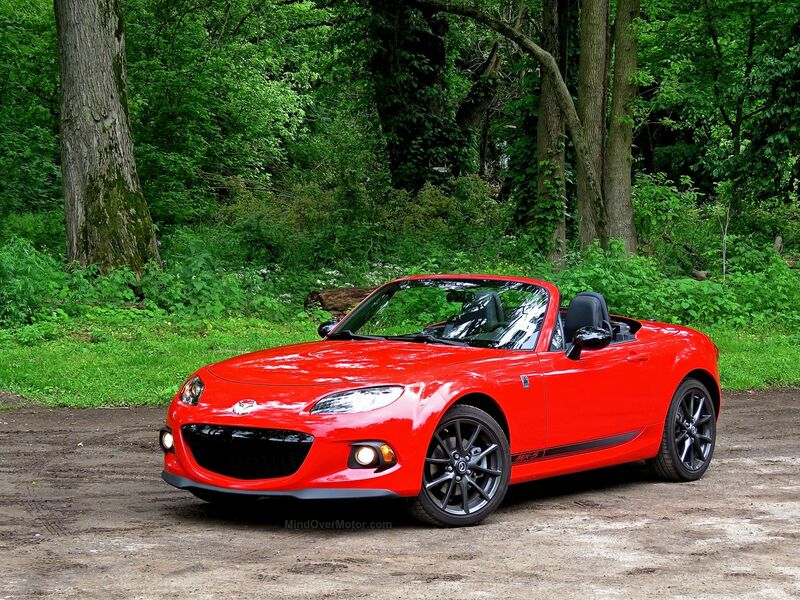 My new NC Club Edition, on the other hand, is totally a modern-era Miata. I cannot emphasize enough just how much more solid it feels on the road compared to the NA. It’s a riot to drive fast, while also refined and a joy to just cruise along in. I drove the NC home in a total downpour and it was actually quite pleasant with the hardtop. The chassis felt confident on the road, even when hydroplaining, and the traction control kept it from getting squirly a few times that the NA surely would have. Then I went back to get the NA home from the dealer in the same massive downpour. I din’t even bother taking the highway, and it was still a far mor trecherous experience. You really have to be on your game as a driver to get around in an NA Miata safely in heavy rain. It slides a lot, and is not at all pleasant. The difference in safety between the NA and the NC is enormous. Furthermore, the NC Club Edition is also just way more of an actual “sports car” than my stock 1.6L NA Miata with an open diff. Both are fun, but the NC is far more serious. 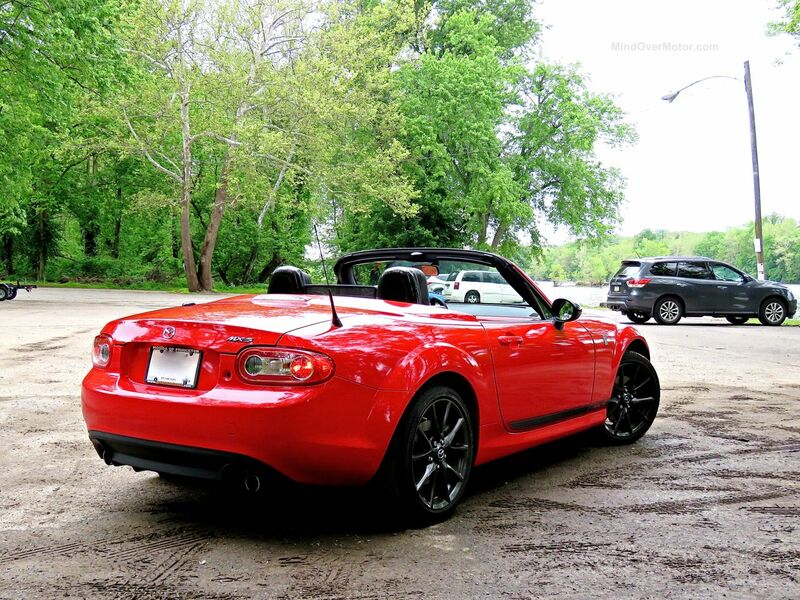 Now add into everything that the NC is 1,000 times nicer than the NA to be in. It’s a great car for trips, not just short drives. I decided that I wanted a Miata in my life for the long haul because they’re just so damn pleasant. But I knew that either meant going from old one to old one with lots of financial chaos and maintenance hassles, or it meant ponying up the cash for a very new one. I happened to find the right NC Miata Club Edition for a good price (a lot less than an ND Club). And while I was standing there, waiting for the number crunchers to do their thing, I looked out at the lot and saw other people trying to decide which of three identical silver Honda Accords they wanted to spend their hard-earned money on. And there, sitting in the background behind them was the flaming red and black Miata that I was buying. At that moment, I knew the car was right for me. I was there buying a car that I was actually excited about having in my life, not some interchangible transportation appliance. PS: My 1993 NA Miata is now for sale. If you’re in the Northeastern USA, and you want a cheap fun car, it’s a good one! Message me. You have a bad case of Miata love!!! Life is about having fun. Congratulations on the new Miata!